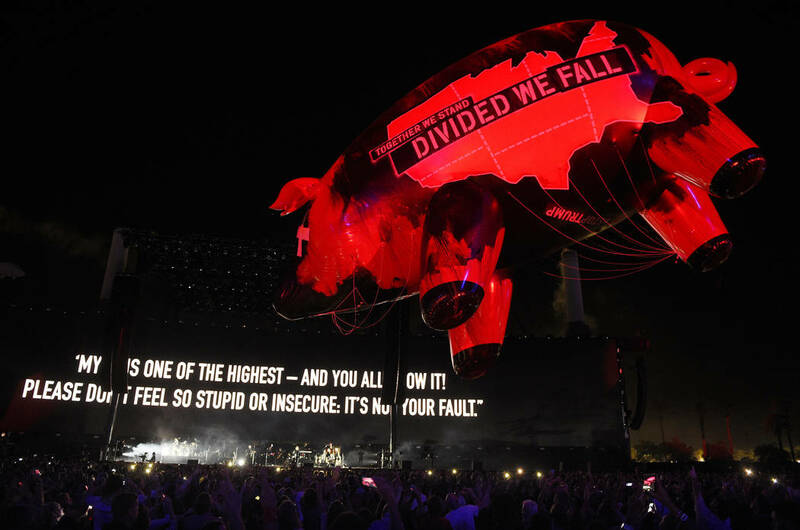 Pink Floyd Co-Founder and mastermind of “The Wall” world tour – Roger Waters – came back this year to amaze everyone with Us + Them, a large-scale production that has had its debut in North America. 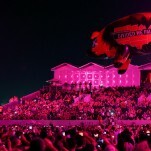 The astonishing production, featuring staging from TAIT and cutting-edge video, laser and lighting technologies, includes a pair of brand-new BlackBox F-1 G5 transceivers, sending Wireless DMX data to the flying inflatable pig. The bespoke work was made by the Dutch company Eventions Products, who have also been involved with productions like Robbie Williams, Sensation, Rio Olympics, among many outstanding productions. W-DMX™ Nano OEM RX G5 cards were wired to a custom high power LED controller with Lithium polymer batteries. “This was used to control the eyes of the pig, through RGB LEDs”, explained Peter McKenzie, Co-Founder of Eventions. 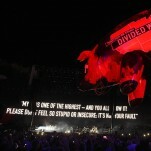 “The battery pack with the Nano and the DMX LED driver were housed in a pocket inside the inflatable pig. 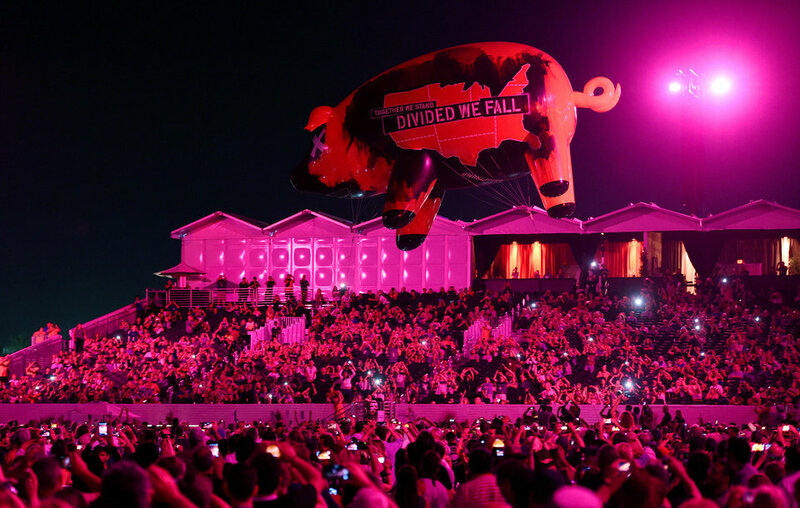 The BlackBox F-1 G5 was placed at the FOH, with the pig floating 12 meters high”, McKenzie added. Peter and their team were also responsible for the structure and mechanics of the four chimneys in the backdrop. Wireless DMX has been spotted touring around this year – in January it was used on the Adele Stadium Tour in Australia, and has now made its way to the Metallica European tour. G5 is readily available through your local distributor.